Remediating structures affected by serious ground issues, such as liquefaction, poor compaction or settlement, has up until now been a complex process. Weak ground can compromise building foundations and footings, putting the structure at risk of collapse. Ground improvement solutions that are currently available are limited, highly invasive, costly, time consuming and messy. If the ground improvement work requires a building tenant to relocate, the interruption to business can add further losses to both the business operator and building owner. Following years of extensive research and testing, Mainmark has developed a proven, non-invasive ground improvement and liquefaction mitigation solution that is new to the market. 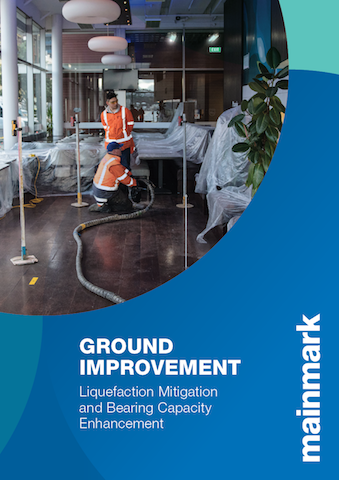 The Terefirm™ Resin Injection technique for liquefaction mitigation uses ground remediation technologies to address underlying ground vulnerability and can be applied under existing structures, or directly into vacant ground in preparation for new construction. The release of internationally peer-reviewed research has found that resin injection is a proven method for increasing soil density, foundation bearing capacity and mitigating liquefaction. 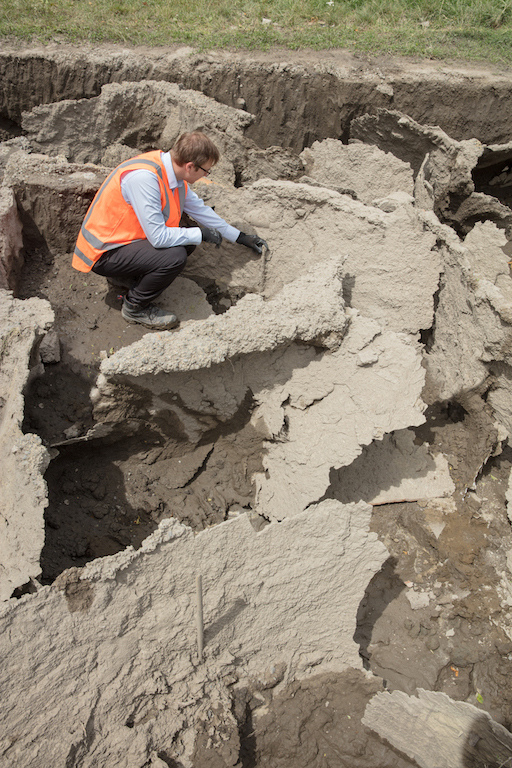 The full report is now available for review on the New Zealand Geotechnical Society website and information is also included in the MBIE Module 5: Ground Improvement of Soils Prone to Liquefaction. When applied beneath existing structures, Mainmark’s proprietary Terefirm™ Resin Injection liquefaction mitigation technique delivers engineered resins to strengthen the ground, reduce the need for above-ground improvements and helps to increase the structure’s asset rating (including the New Zealand New Building Standard percentage rating). 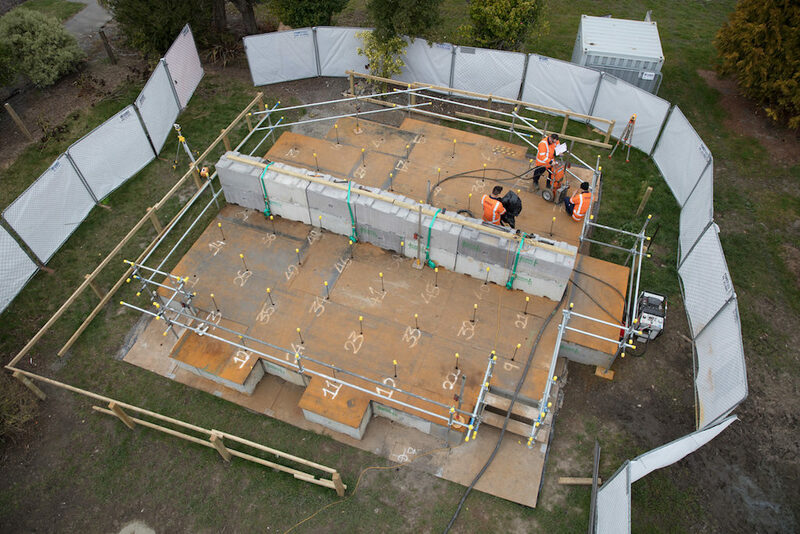 This new approach to remediating structures affected by serious ground issues can help to preserve existing buildings and infrastructure affected by soil displacement and liquefaction, providing an alternative to costly demolition and rebuilding. 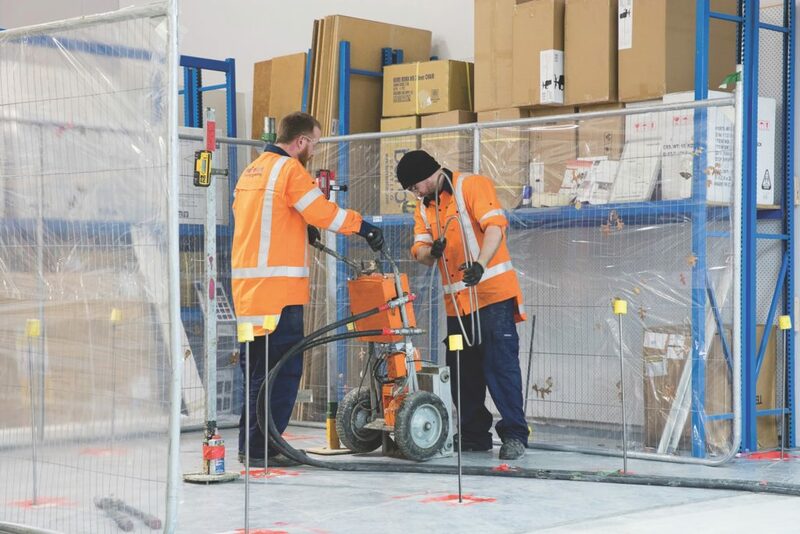 The Northwood Supa Centa in Christchurch had suffered from serious earthquake damage including liquefaction and required extensive ground improvement work to densify the soil beneath the structures to help bring the existing building back to level. 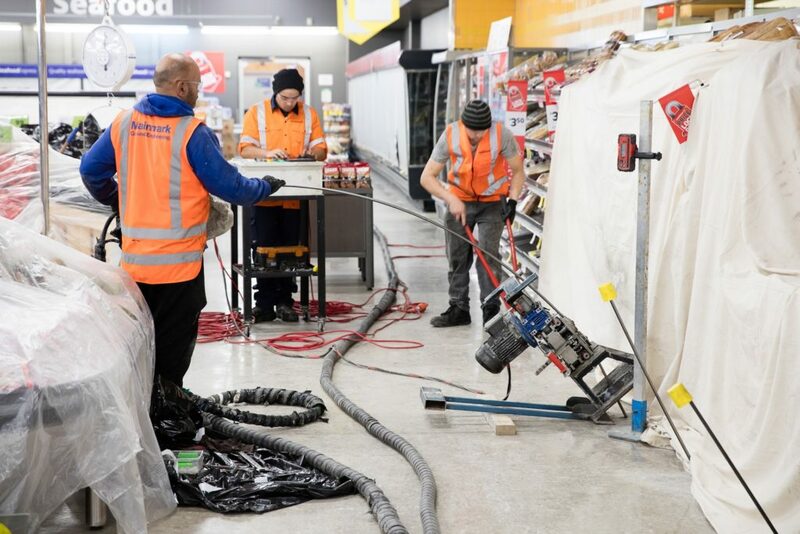 Mainmark was able to successfully remediate the retail centre back to 100% NBS while retailers including a busy supermarket, were able to continue trading virtually uninterrupted throughout the busy Christmas trading period. Mainmark’s Terefirm™ Resin Injection liquefaction mitigation and ground improvement techniques densifies the soil by injecting an aggressively expanding polyurethane resin mix into the ground. Terefirm™ Resin Injection delivers secondary benefits with improvements in composite stiffness, cementation, and horizontal stress increases. The expanding resin is injected with pinpoint precision via small (12mm to 20mm) penetrations, and the process is fast, non-invasive, and clean. the process significantly improves soil density, stiffness, and strength. Terefirm™ Resin Injection methodology can be successfully applied not only to cleared sites but more importantly to ground beneath vulnerable buildings, structures and critical infrastructure, where the soil conditions are appropriate. Terefirm™ Resin Injection is a proven solution for liquefaction mitigation in seismically active areas and for general bearing capacity enhancement under static conditions. 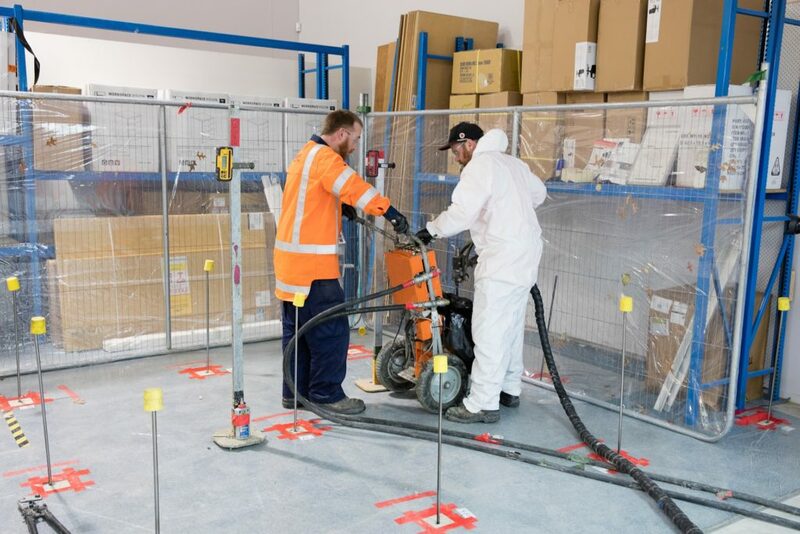 Due to the low level of intrusion required to carry out the process, the solution is particularly beneficial for businesses that need to continue operating during remediation works. Limits future damage from lateral spread, differential settlement, consolidation, or poorly-compacted fill. This protects existing investments and can improve the value of some properties that were previously affected by ground instability or liquefaction. Extends the structure’s lifespan and avoids the need to replace foundations or rebuild. Improves safety by reliably strengthening the ground, even in regions experiencing ongoing seismic activity. Provides a strong return on investment by delivering two processes for the price of one, representing a cost saving of up to 30 per cent. Results in minimal environmental impact. Reduces repair costs and delivers a fast, non-invasive, and less messy alternative to traditional underpinning or other ground improvement processes. Delivers faster rehabilitation with full confidence in the product’s application and performance. Providing assurance that Mainmark stands behind its proprietary solution.